WRITERS IN PROGRESS’ mission is to enhance writers’ work and lives with writing workshops, coaching and editorial support. 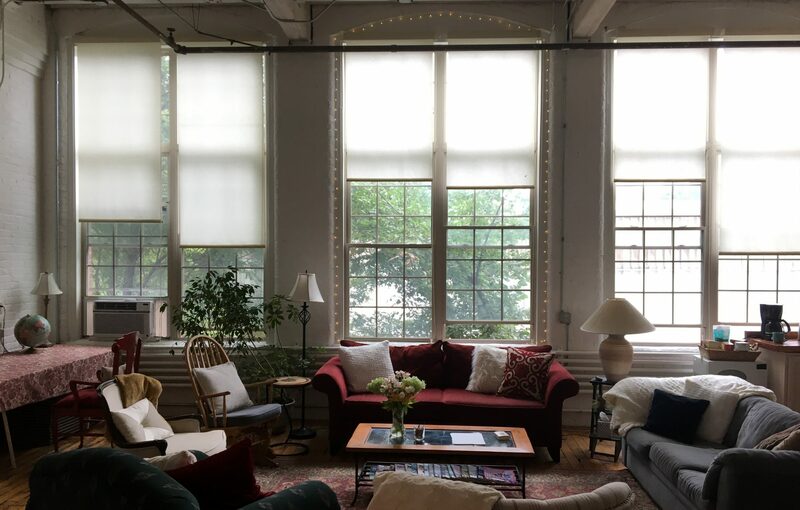 Housed in a beautiful western Massachusetts artists’ studio, our small writing workshops and one-on-one mentoring attract people who want to take their writing to the next level in a supportive and inspiring space. Dori founded Writers in Progress in 1992, with the belief that everyone has an epic tale to tell, that stories are essential in our lives and culture, and that the writing life calls for both rigor and playfulness, both accountability and validation. To this end, we have been offering creative writing workshops, mentoring and editing services for two decades, to help writers discover their voices and complete their projects. WIP alumni include Kris Holloway, Alison Smith, Ellen Meeropol, David Lovelace, Dusty Miller, Ruth Lehrer, Sally Bellerose, and many other published authors. We offer weekly and one-day writing workshops year round in the Pioneer Valley, taught by Dori and other regional authors. All our writing workshops emphasize writing time, community and craft development, giving and receiving feedback, and nurturing creativity and confidence. Unlike many area workshops, we limit enrollment to eight or nine participants, in order to ensure a quality experience! Workshops include light refreshments. Dori also hosts a year-long Manuscript Intensive Series for writers working on book-length projects. Our beautiful 700 square foot studio is located in the historic Brushworks Arts & Industry Building, in Western MA. The studio is available to rent for workshops, events or individual writing groups. We also host a seasonal reading series, as part of our Live Literature Series. Please join us at the studio Saturday, May 11, 4:30 – 6:30 pm for our next Reading and Open House, featuring work by WIP weekly group members, Robyn Coady, Marie Westburg, Daphne Thompson-Addabbo and Susan McKenna… Refreshments and wine to follow the reading.